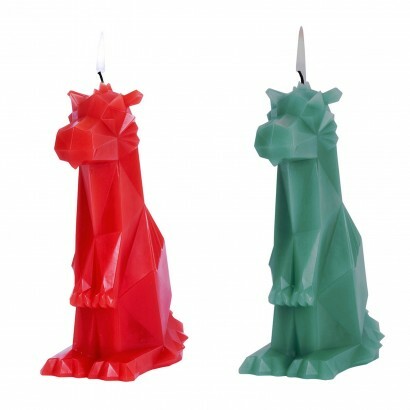 Brand new from Pyropets, Dreki the dragon takes on an angular form sitting proud to make a striking candle. 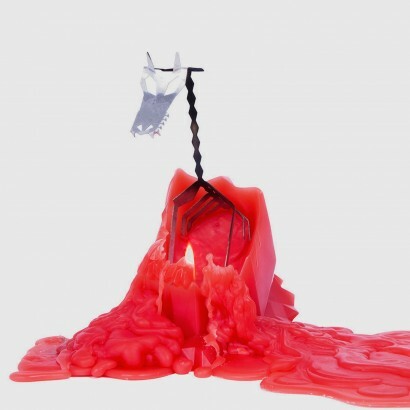 Available in vibrant red or deep bottle green, this stunning candle harbours a dark secret, as light the wick and Dreki burns away to gradually reveal his darker inner, a metal skeleton glaring at you from within the flames, fire in his eyes! With a burn time of around twenty hours, you will see an amazing transformation before your eyes as Dreki burns to reveal his inner dragon! 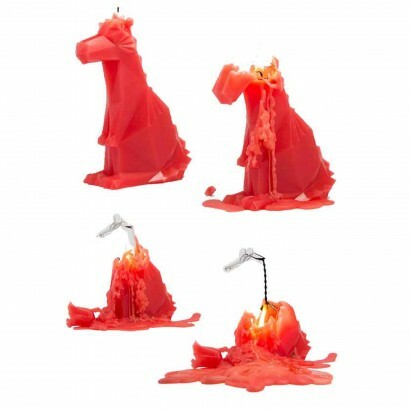 We recommend that you place Dreki on a Pyropets candle plate to catch the melting wax that will pool around the base of Dreki as he burns.